Being your own boss is one of the perks of being a freelancer. Self-employment offers flexibility regarding schedule and the way you work. However, none of this comes without a price. Freelancers assume all the profit from their business, but they also have to carry all the risks and worries. Variable income is the biggest of all. You have to make sure you have enough cash to pay your bills, get supplies and cover all kinds of expenses. To do that, you need to get paid from your clients on time – which doesn’t always happen! Moreover, it’s incredible how easy it is to lose track of your expenditures when you have to work on multiple projects. Running a business all by yourself is never easy. You have to put in the work, do the accounting, bill your clients and chase them to pay you off. We all know the drill! There are times that cash flows in effortlessly and others when you feel you’re not going to make it through the month. But it doesn’t have to be this way! Once you streamline some critical parts of your freelancing, your income will become less unstable. Let’s present to you 6 battle-tested ways to overcome the fluctuating income roller-coaster! Traditionally, freelancers bill per hour, and there is nothing particularly wrong with that. Except when it comes to income variability. Billing by the hour means that one month you’ll get paid X and the other 30% less even though you delivered as usual. Switching to a monthly retainer for some clients is a better pricing policy in this case. Pick your most punctual (payment-wise) clients and propose a monthly fee. This way, you get a stable income, even in months when your operating expenses are high or other projects don’t appear on the horizon. Αn important advantage here is that clients love them too. Especially clients that prefer to hire someone as a business partner rather than another freelancer they can outsource their overhead to. Expected: this could be anything concerning office supplies: printing paper/inks, pens, clippers, etc. Moreover, expected expenses include planned moves like renovating, moving your office, or even your annual tax payment. They are not recurring, and the cost isn’t predictable until it occurs. Recurring: they may include standard bills such as electricity (even if you work from home), internet/phone connection, mortgage, rent, etc. Also, subscriptions to various services: your hosting/domain costs, invoicing platform, social media spending, add-ons related to your profession, etc. Unexpected: this type is the trickiest one. Sometimes hardware fails unexpectedly, or the office plumbing needs repair. If this happens when your income is at its lowest, it could be a massive problem for your cash flow and you may not have the ability to pay for it. However, recurring expenses can be the biggest problem for freelancers. You’re building up recurring fixed expenditures when your income is variable. The solution here lies in proactive measures: For every dollar of a fixed work expense, try to have two dollars as a recurring income. Taking in one step further, frequently evaluating your recurring expenses is essential. Take time every once in a while to check which subscriptions aren’t necessary most of the time. Also, check for alternative solutions that offer the same service at a lower price. Finally, logging your expenses into an application, like Elorus, keeps them neat and readily available. You can have a clear overview of your cash flow, past and present. This will give you a hint about how your cash flow fluctuates over time and spot trends. Keeping track of your cash flow has an added benefit beyond controlling expenses. It can help you save money and create a “safety cushion” for difficult times. Setting aside money into a reserve fund is important for freelancers with a variable income. Our recommendation is to set aside at least 10% of what you earn, be it monthly or per project. Make it a habit of yours and stick to it, even if you feel the urge to spend it on something “important.” It’s that fund that will keep you going on leaner months, so view it as an investment in your future! If you’re the kind of freelancer who takes up one-time gigs, you probably get paid after you deliver the project. This may create all sorts of problems to your cash flow and income variation. The main one is that you may be working months on something without getting a penny for your effort. We suggest you break your projects into stages. For example, you can request 40% of a project’s fee upfront, then 30% after a serious milestone, and 30% when it’s finished. By creating more payments, you eliminate the chances of finding your self without money for long periods of time. Plus, this allows you to estimate your income for the months to come and act accordingly! A not-so-obvious aspect of stabilizing your variable income is growing your freelancing career. But how can you set clear and realistic goals that will help you do so? You need to define your goals through actionable tasks and milestones. This is going to make your goals more tangible, rather than abstract aspirations. Milestones allow you to chart your progress and make adjustments, if necessary. How can I attract the right kind of clients? How can I increase my exposure to the right target audience? What should I do to keep my repeat customers happy? Moreover, accountability is the freelancer’s weak spot. You have no one to check up on you, evaluate your performance and productivity. That’s why you have to find a system to organize your work. Staying on track is easier if you use the right tools. 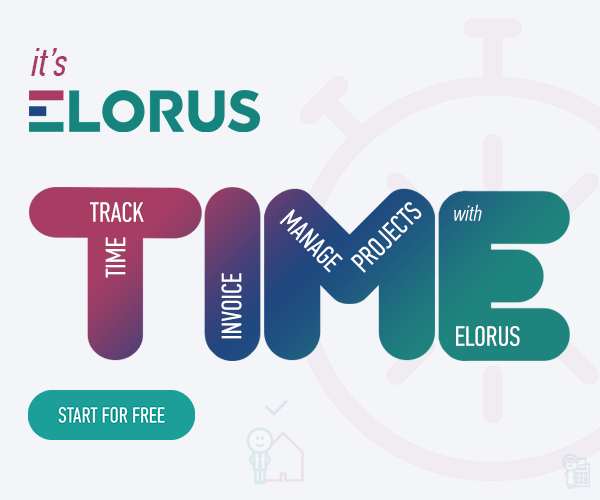 Time tracking tools, like Elorus, are here to help you set up a routine, manage projects and meet deadlines. All of this allows you to achieve goals, keep clients happy and attract more! On the same note, another way to overcome variable income issues is keeping customers happy. After completing a project, ask your client’s feedback on your work. If they’re not satisfied, do the extra mile to please them. This will keep them coming back for more gigs. Hence, you eliminate some part of the freelancer’s uncertainty. Taking it one step further, happy customers usually spread the love via word of mouth! People referred to you by other customers are 4 times more likely to choose you over a competitor they know nothing about. Word of mouth is an excellent way to attract more clients all year round, thus reduce the variable income phenomenon! 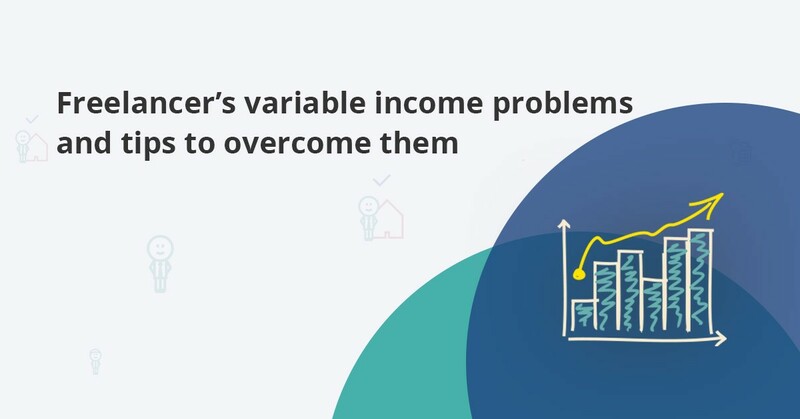 Variable income is probably a freelancer’s biggest and most persistent struggle. It doesn’t have to be this way though. You just need to maintain a positive attitude, do your best work at all times, and never cease to reach out to new clients. In time, clients and stability will come your way!